Beste Tıknaz Modiri was born in Istanbul in 1982. She started her music education at Istanbul University State Conservatory with Ani Inci at the age of seven. 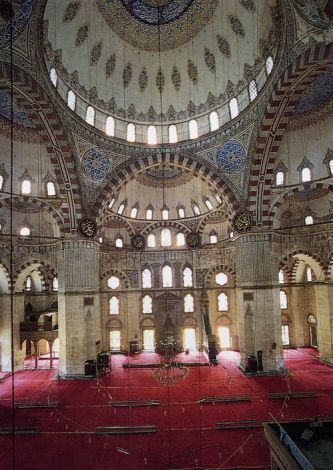 Before receiving her BA degree in 2002, she was selected as the Most Successful Student two years in a row, and received a scholarship from Istanbul University. She completed her Master’s Degree at Istanbul University Social Science Institute in 2004. She then pursued her studies at the Boston Conservatory between 2006 and 2008 with full scholarship. She also attended many master classes and workshops, and studied with world renowned musicians such as Y. Bashmet, N. Imai, Prof. M. Bucchholz, L. Matczynski, M. Kelley, M. Ruth Ray, P. Farulli, M. Tenenbaum, R. Noren, Prof. T. Masurenko, R. Gunes, B. Guiranna, R. Diaz, R. Tapping, M. Thompson, and C. Phelps. Tıknaz has received national and international prizes and awards including at the ICMEC Competition (Gold Medal), BO.CO. String Idol, MTNA Young Concert Artists State and Eastern Competitions, BO.CO. Concerto Competition, and Dokuz Eylül University National Viola Competition. 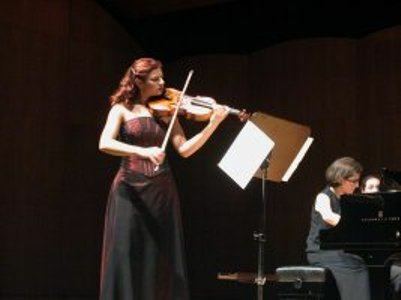 Tıknaz has given her own recitals and performed as a soloist with many chamber and symphonic orchestras such as the Boston Conservatory Orchestra, Emmanuel Music, Boston Chamber Orchestra (principal), Istanbul University State Conservatory Orchestra (principal), Cemal Resit Rey Symphony Orchestra (principal), Akbank Chamber Orchestra, Tekfen Black Sea Soloist Philharmonic Orchestra. These performances were given at famous concert halls around the world including CRR, Is Sanat Concert Hall, Ataturk Culture Center, Boston Symphony Hall, Harvard Sanders Theatre, Bonn Beethoven Halle, Berlin Konzerthause, and Carnegie Hall. She has also been an active chamber music player. She has attended tours and prestigious festivals such as the Istanbul International Music Festival, Beethoven Fest (Bonn), Budapest Spring Fest, Berlin Youth Orchestras Festival, Apple Hill Chamber Music Fest, and Mediterranean Contemporary Music Days. 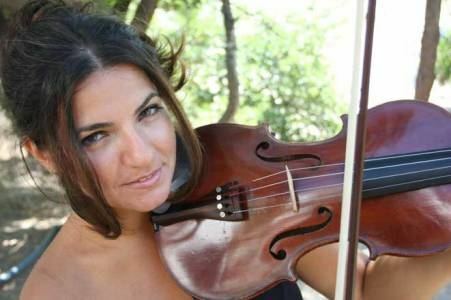 Currently, Tıknaz is a DMA student of Ani Inci, and works as an Assistant at Istanbul University State Conservatory. She has started "Beste Tiknaz and Peace Stars" international concert tour.